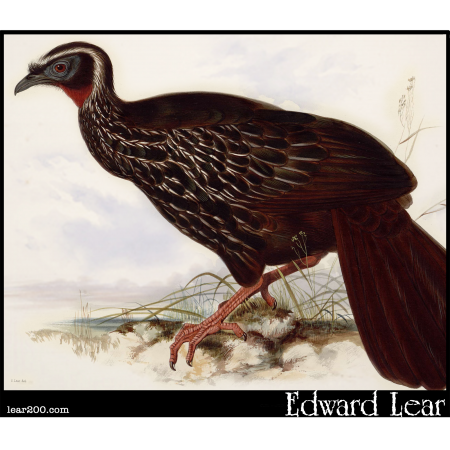 Eyebrowed Guan | Edward Lear: Two Hundred Years of Nonsense! Eyebrowed Guan. (Penelope superciliaris.) Now called the White-browed Guan.